In today’s connected world, the analytical and data-driven marketer must walk the fine line between valuable personalization and simply creepy. Consumers are more concerned with both relevance and privacy than ever before. That means marketers must respect and respond to the changes this growing sentiment will inevitably bring. One such change in consumer online behavior is the surge of ad-blocking technologies that remove most ads for the user while surfing the web. With global ad blocker use increasing 41% in 2015 and another 30% is 2016, nearly one-third of all internet uses will be using some kind of ad-blocker in 2017. While one-third may not sound like a lot, ad-blockers are projected to cost digital publishers $27 billion by 2020 as this trend continues. Why are we seeing this sudden surge in the use of ad-blockers? Well, 54% of US ad-blocker users say that too many ads they are exposed to are just plain annoying or irrelevant. Approximately 40% of users find ads too intrusive. So how are advertisers handling this sentiment? Some are chopping spend. For example, one of the world’s largest advertisers, Procter & Gamble, cut back digital ad spending by nearly $140 million over concern about where their ads were actually showing up online. 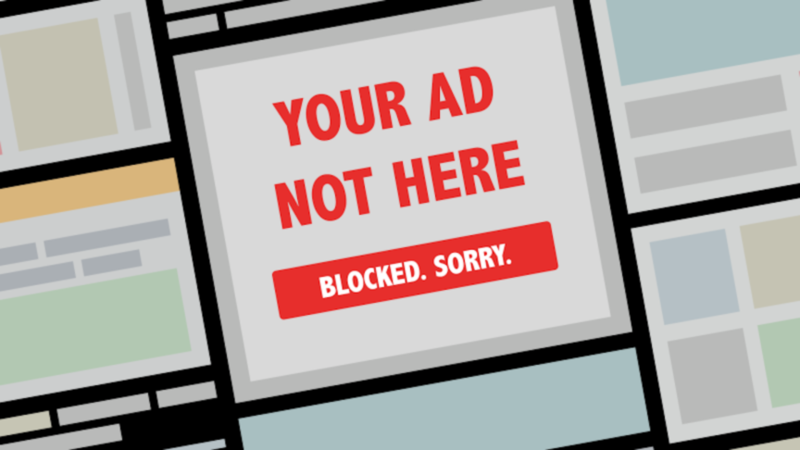 But is reducing ad spend really the best way to respond to ad blockers? Our team of data analysts doesn’t believe this is the answer. In fact, many passionate marketers actually believe “ad blocking is the best thing to happen to marketing”. Now, “marketers are holding themselves accountable for the ads they create and serve”. In other words, quality control is top of mind for marketers across all industries for the first time – because it has to be. To put it simply, don’t see yourself to the door. Up your game! So how can you get started producing content people do not want to block? You’ve probably heard the old saying, “garbage in; garbage out”. And this adage is spot on when describing the relationship between data and marketing. Marketers must rely on quality data to get into the mind of their consumers. By understanding who people are, and more importantly, what motivates and drives them, you can curate ads that are so relevant they feel like content, and not advertisements. (PRO TIP – Hear from our Senior Cognitive Psychologist about AnalyticsIQ’s approach to digging into this data.) Although we may be a little biased as data geeks, leveraging quality consumer data to drive your marketing strategy and execute targeted campaigns can absolutely help you overcome some ad blocking hurdles. The data you use to fuel your targeted campaigns and ad placement is the only thing that will determine the quality of your ads, so don’t let something like poor data quality cost you money and new customers.